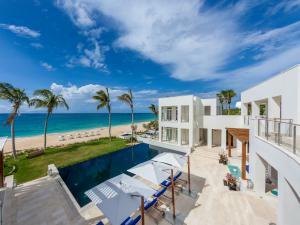 NEW YORK, USA, September 17, 2018 /EINPresswire.com/ — The stunning island of Anguilla has been ranked the #1 island in the Caribbean in the 2018 Travel + Leisure World’s Best Awards. The awards honor the top travel destinations and companies around the globe as rated by its readers. Anguilla which is one of the most beautiful tropical Islands in the Caribbean has been voted the best island to visit for the second year in a row. A warm and welcoming island destination tucked away in the northern Caribbean just north of its neighboring islands of St. Martin and St Barths. 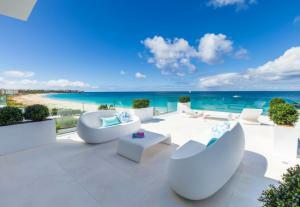 Anguilla is a warm and friendly island with resilient people. Bouncing back from Hurricane Irma in 2017, Anguilla has seen a boost in tourism in 2018 and predicts a steady increase for 2019. “This Award represents a tremendous vote of confidence in our destination, it is a wonderful endorsement of our tourism product” that reinforces the credibility of our message that Anguilla is back, better than ever, in the aftermath of the challenges we have faced, said the Hon. Cardigan Connor, Parliamentary Secretary in Anguilla’s Ministry of Tourism. 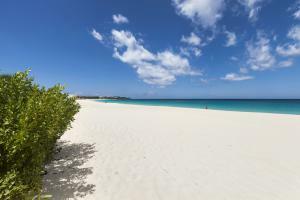 So why did Anguilla win the #1 spot? 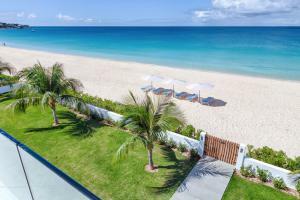 Anguilla is an incredibly beautiful island that boasts some of the world’s best beaches, the best cuisine in the Caribbean as well as being home some of the best vacation rentals in the world. The beaches here are second to none with their bright white sand and truly spectacular turquoise sea. Anguilla features an array of sea life due to its coral reefs, offering some of the best diving and snorkeling in our planet. 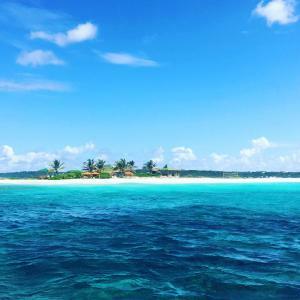 The small inlets and cays are also a wonderful place to explore or enjoy water sports or even take a luxury catamaran day sail around the entire island. Stretching just 16 miles long by 3 miles wide, Anguilla has something to suit everyone. It offers low key elegance and barefoot luxury while still being one of the most exclusive islands to visit in the Caribbean. Anguilla is also frequented by the rich and famous similarly to its rival neighbouring island of St Barts but what makes Anguilla so unique is that the rich and famous come to this island to enjoy peace, quiet and above all ultimate privacy. Not only is Anguilla known for its super luxurious vacation rentals such as The Cerulean Villa, It is also home to some of the best hotels in the Caribbean, Readers of Travel and Leisure also voted The Frangipani Beach Resort as the #1 in the Top 25 Caribbean Resort Hotels category and #3 in the Top Hotels Overall category. The Four Seasons Resort & Private Residences Anguilla has been ranked #12 in the Top Caribbean Resort Hotels category; Zemi Beach House was ranked #15; and Malliouhana, An Auberge Resort was ranked #18 in the Top Caribbean Resort Hotels category. Click Here to find out more.